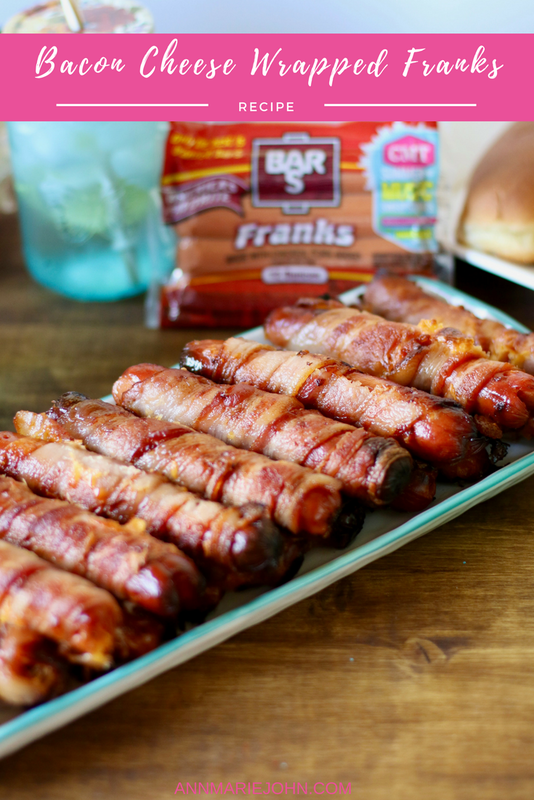 Throw one of the greatest block party of the year and enjoy these Bacon Cheese Wrapped Franks made with Bar-S franks. Living in New York City, there are a few things you look forward to during the summer, one of them is the amazing block parties that the entire block threw. It's the one time that you got to meet all your neighbors that you don't generally see on a day to day basis. Everyone comes together as a community and the food, the music and drinks are amazing. It's something that doesn't happen here in Colorado and is just one of the things I miss about New York. How would you like to be able to throw an amazing block party that will rock the socks off the neighborhood, and have them talking for many years to come? Bar-S is partnering with CMT to put on a big block party for this year’s CMT Music Awards as well as a sweepstakes. Join Bar-S and CMT for a summer of music and a chance to win a trip to the 2018 CMT Music Awards, a private concert and backyard BBQ experience with one of CMT's hottest Emerging Artists, or one of thousands of other great prizes! I grew up listening to country music with my dad. Together we would sit and listen to Dolly Parton and Kenny Rogers and all the other greats on a Sunday afternoon. Country music is still one of my favorite genre of music and it's not difficult to understand why. The lyrics are words I understand, unlike the music my children listen to these days, and looking back, I can now relate to most of the songs. This summer Bar-S and CMT are teaming up all summer long to bring you great food and great music you can't find anywhere else! You can check out the latest exclusive music videos by some of CMT's hottest emerging country music stars, and make sure to sign up for the CMT Summer of Music Sweepstakes! 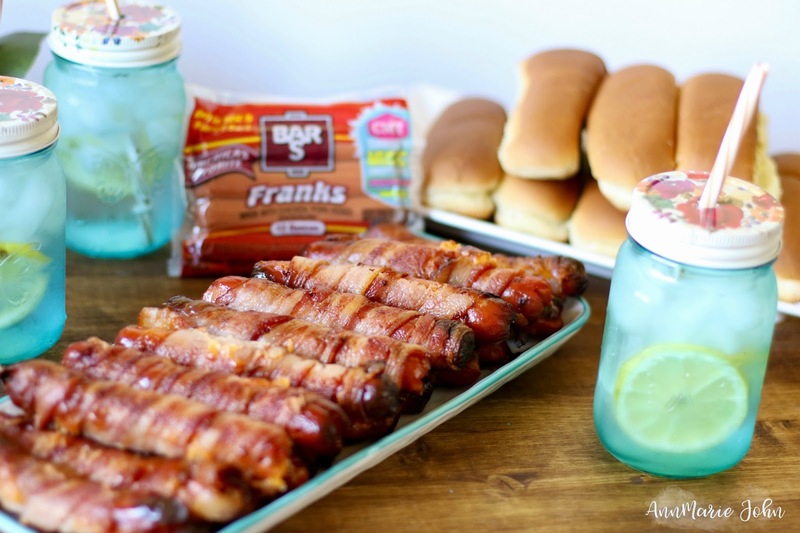 However, I want to share with you these amazing bacon, cheese wrapped franks made with Bar-S franks that you can make for your awesome block party. Step 1: Cut a slit in your Bar-S franks down the middle. Step 4: Use a toothpick at both ends of your franks to keep the bacon in place. Step 5: Place on a baking sheet and bake at 400 degrees for 30 minutes or until bacon is thoroughly cooked. So how can you enter Summer of Music Sweepstakes? Simply purchase specially marked Bar-S products and enter the UPC codes to enter. So purchase Bar-S products and enter the Summer of Music Sweepstakes. 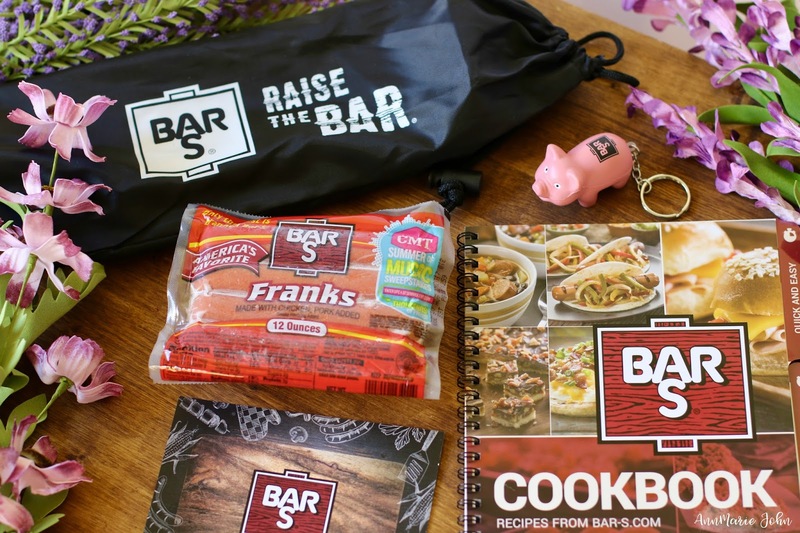 Also be sure to visit Bar-S where you can find other amazing recipes and sign up to receive coupons. Bacon and cheese. That's all you had to say. Om nom nom nom. Those look awesome! I have to wonder if I could grill this. I think this needs to be tried on a grill. My boys LOVE bacon and hotdogs, so I am going to have to make these for them. They are going to love these. It is rare to find a country music fan with New York roots but good music of any style is fun. Great recipe who doesn't love bacon and hot dogs. BACON!!! This.... Ahhh. I don't know why, but I am simply reminded of the little boy who had Bacon for the first time and was like BAAACOOOON. Haha! I have to say, these look amazing and I bet they taste just as good! I know this is something Jaiden would love to have. He's totally my kid and loves bacon and cheese and Jaiden is always down for a Hot Dog as well! I am gonna enter the contest as well! I love my Country Music! That Grand Prize sounds awesome! A block party sounds amazing and perfect for the summer! It's nice to bring people together and just have a great time. I've always liked country music, it's definitely far from the music that we have these days. These hotdogs will be a hit! O M G! You had me at Bacon Cheese Wrapped!This is a great recipe, it would go great with my daughter's upcoming birthday menu. 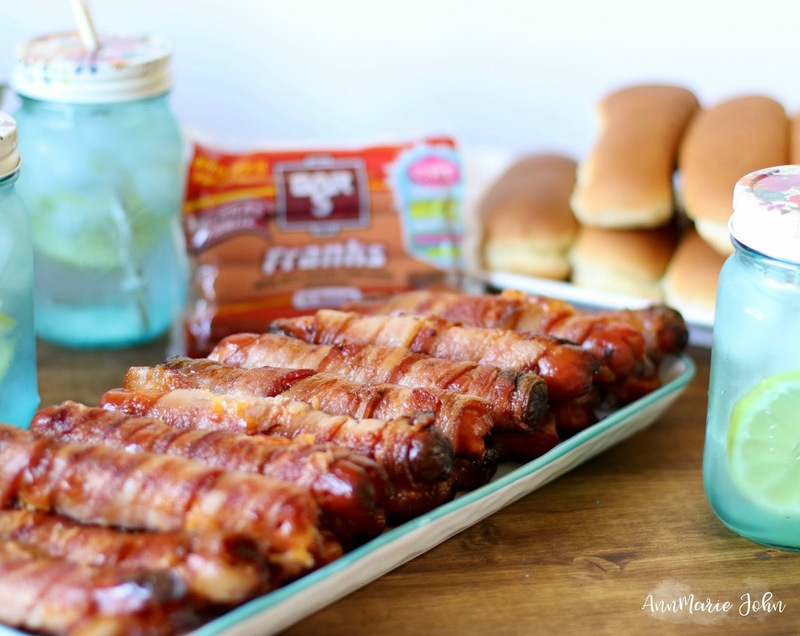 Bacon wrapped franks sound perfect for the Fourth of July! I love to go all out at my cookouts. You had me at bacon. And cheese. Heck, you had me at the the very top of your article! This recipe is oh-so delicious and would be oh-so perfect for my "cheat days." Oh my gosh this is just plain evil! I want this right now and I'm trying to eat much healthier LOL. I may throw that out the window tonight and eat this. Anything with bacon is outstanding. Could this be any more wonderful? A perfect Fourth of July meal if you ask me! Anything covered in bacon is definitely my favourite and this is of no exception - can't wait to try! This is pretty incredible! I have never thought to wrap hot dogs in bacon and cheese, but this would be such a huge hit at a summer party. I definitely need to try this! Bacon and hotdogs. I would eat these all up! Oh how yummy! These look amazing, I can't wait to try making them. My son is hotdog obsessed, he could eat them everyday all day. And hello, bacon just makes everything in the world taste better. Oh momma! I'd love to make these for the family, I'm sure the boys will go crazy over this one. It's nice to have a party where people can just spend some time getting to know each other. I'd love to make that a thing in our neighborhood! These look so scrumptious! I am going to have to borrow your recipe for sure. My niece is a little bacon freak; I am sure she will love these. Bar S is our go-to brand every time. Holy goodness, those dogs look perfect. Bacon, cheese and franks, yum. Sounds like a meat and cheese lovers perfect summer treat. My gosh, these sound so good! Plus they seem pretty straightforward to make. Thats a great sweepstake, wish I could enter! My mouth is drooling over those delicious bacon cheese wrapped franks! I cannot NOT have this the soonest time, so I will go and get the ingredients ready tomorrow. Yum. I love bacon and hotdogs so I should try this recipe. I've seen it a few times but I just am not sure if I would love it. It looks good though. Anything with bacon and cheese is really good on my book! I am preggo and this is calling my name for sure. Looks oh so yummy! Bacon wrapped ANYTHING is a hit in this house! My husband would especially love these! YES. Bacon and cheese and it's easy to make - my kind of summer dinner. This one is definitely making it to our dinner table this week. Whenever I head to the store, I stock up on bar-s hot dogs! It wouldn't be summer without them and I can't wait to give this recipe a try! We always make Chicago style dogs on the grill with them, yum! Whenever I head to the grocery store, I stock up on bar-s hot dogs! It wouldn't be summer without them and I can't wait to give this recipe a try! We always make Chicago style dogs on the grill with them, yum! I don't eat meat, but my family would probably enjoy this recipe. Especially my daughter! Thanks for sharing the recipe. Why are you doing this to me? I'm so hungry! We had block parties in NJ too. My old street here had them once a year, but I have yet to find any others in New England. Bacon wrapped anything rocks, and hot dog anything rocks, so together - this is a powerhouse recipe! Oh boy do these look tasty. Adding bacon to anything makes it taste better! YOu took some amazing photos of the food. This would definitely be a hit at any 4th of July party this year!